1. Star Lore – Here’s a weird one. This local Public Television show produced by the University of Nebraska at Omaha features a librarian who is kidnapped by an alien queen to teach the queen about story structure. It’s basically Santa Claus Conquers The Martians but with a librarian instead of Santa and, well, whatever the aliens are instead of Martians. Each episode focuses on a different aspect of story – plot, characters, etc… The alien queen speaks in a harsh, halted, almost Russian accent that can’t be an accident given the era in which this was produced. Here’s an episode. It’s so weird. 2. Telstar Arcade – The Telstar game system was produced by Coleco and released from 1976 to 1978. 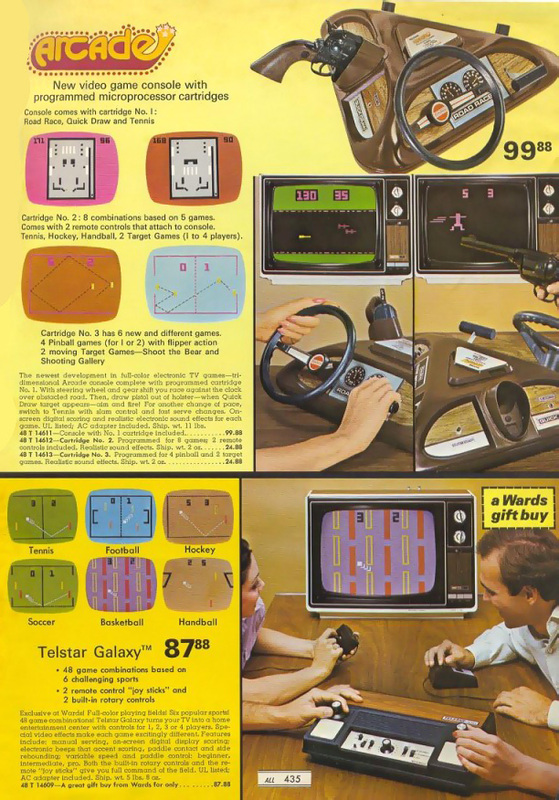 Here’s an ad for the Telstar Arcade, a slick triangle console with a wood paneling appearance. It offered a light gun and a steering wheel! 3. Star Wars 1984 Premiere – In 1984, Star Wars made its television debut and it was a pretty big deal. Here’s the special wraparound bumpers for the premiere, hosted by Mark Hamill himself. 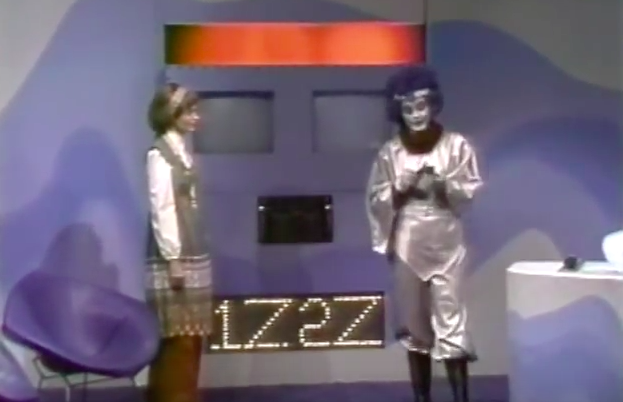 You can catch the wave of excitement here, and get a sense of what a big deal this really was back then in a television landscape with so few options and a ‘gotta-catch-it-live’ setting. 4. Civilization – Dyan Cannon sings “Civilization” on the Muppet Show. As you do. 5. Jimmy Smith – The Sermon – Live in 1964. Enjoy. a librarian who is kidnapped by an alien queen to teach the queen about story structure. Wait, wait wait. I spent years trying to remember the title of Tomes and Talismans to relive a slice of my youth and now you’re telling me that there’s more than one Science Fiction Single-Topic Made-for-PBS educational series about library science? Man, the universe gets more mysterious and glorious every day. I gotta say, Tomes and Talismans is the superior show. 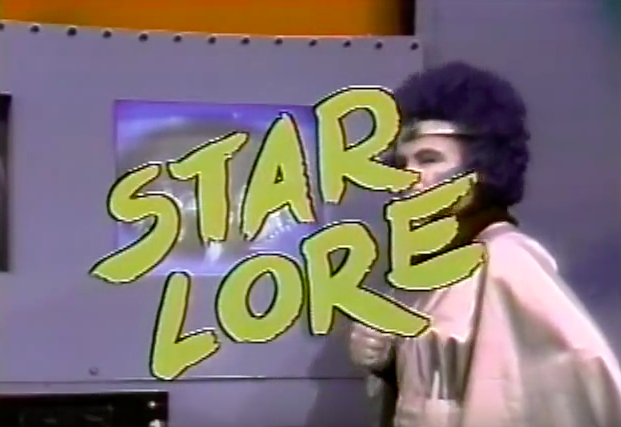 But Star Lore is a delightful entree with its own distinct flavor.